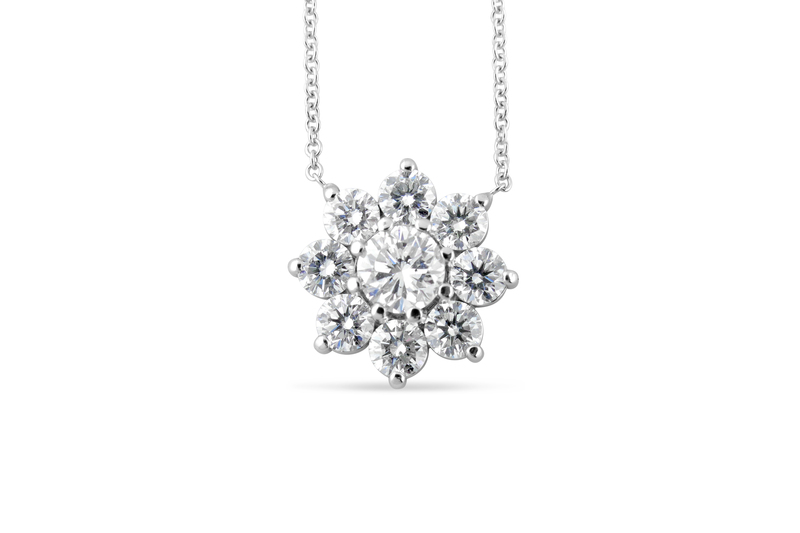 Exquisite cluster 14kt white gold pendant with 9 high quality round diamonds, attached to a 16″ 14kt white gold cable chain. Can also be hung from a bale. Clusters can be created with different gemstones and different diamond quality. Please contact us for more information.